The SROSM orthopedic surgeons are among the few in the Houston area to utilize one of the latest technologies in knee replacement surgeries. 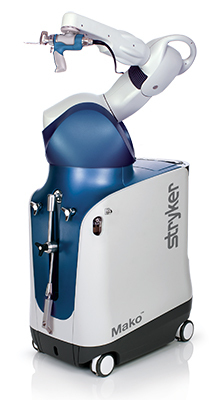 The Mako Robotic-Arm Assisted Surgery System is used to perform full and partial knee replacement surgeries. Dr. Brian Flowers, Dr. Paul Chin, and Dr. Mark Eilers are certified to perform Mako Total Knee replacements. In fact, SROSM was the first orthopedic group in the Houston area to have three joint specialists Mako certified for the total knee replacement. 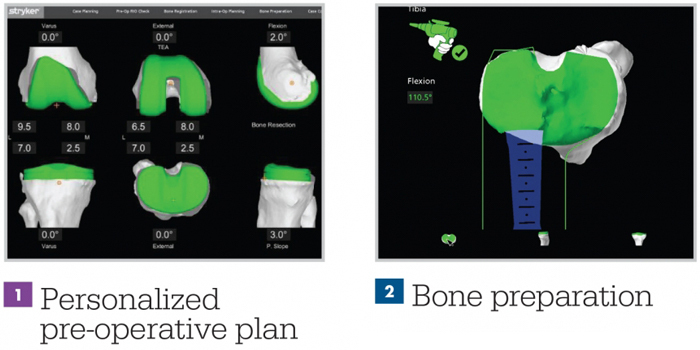 Mako Technology helps the orthopedic surgeons provide a personalized treatment plan for each patient based on their specific diagnosis and anatomy. This is done through 3D modeling of the knee using a CT scan and the Mako Technology. In the operating room the orthopedic surgeon guides the Mako Robotic-Arm to prepare the bone for the implant in the area defined by the 3D model. During surgery, adjustments to the treatment plan can be made for a more accurate placement and balance of the new knee joint. After total knee replacement surgery, your healthcare team, including our physical therapists, will set goals to get you back on the move. At SROSM, our physical therapists work with knee replacement patients daily and know what to look for to help you recover as quickly as possible. If you’re experiencing knee pain, we recommend you schedule an appointment to learn about non-surgical and possible surgical options to help you get back to your regular level of activity. If knee replacement surgery is recommended be sure to discuss the Mako Technology option with your surgeon.